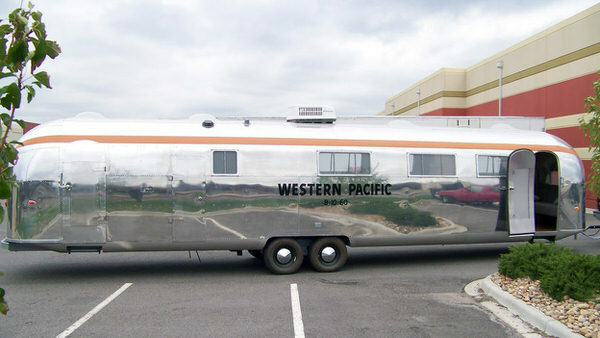 This 1962 Western Pacific Airstream is quite a find. 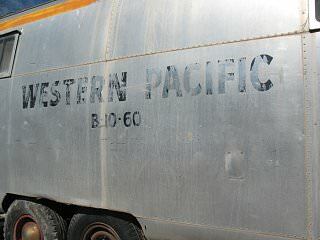 It turns out it is one of only 10 Airstream trailers that were manufactured and used by Western Pacific Railroad. They were used to house their track laying crew working for the company. The new owners took this vintage beauty and transformed it into a masterpiece. 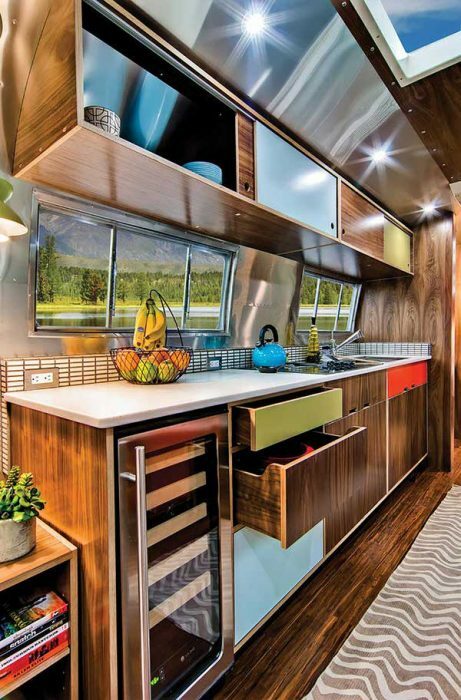 Related: Visit our Pinterest board for some of our favorite Airstream finds. 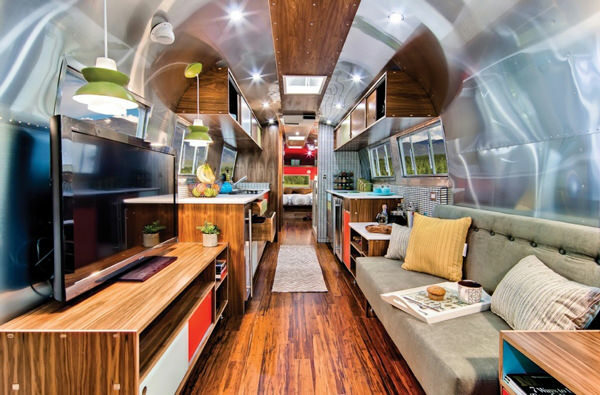 According to the information we found on the website, Timeless Travel Trailers, these Airstreams were 40 foot long, which is 8 foot longer than a typical Airstream. They were used by Western Pacific until around 1983 and were initially installed on flat cars so they could travel along as the track was being built. Pretty cool! Another cool use for Airstreams? 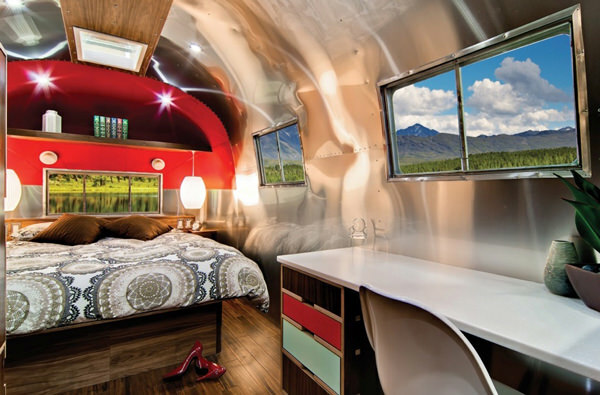 How about these 5 Awesome Airstream Glamping Experiences! Being only one of five of the remaining Western Pacific Airstreams left in existence, it is incredible that the Airstream was saved and updated to its current glory! 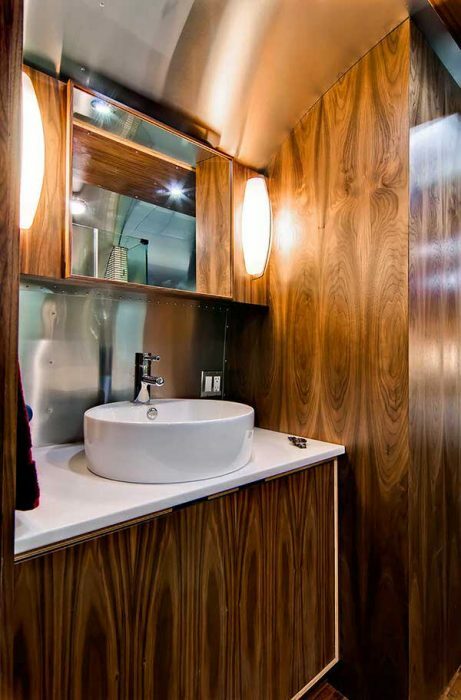 As you can see from the images, Timeless Travel Trailers did a wonderful job transforming this vintage Airstream into a vacation retreat. A look at the exterior before it was restored. The airstream shines up nicely. From what we can see, the entire interior of the Western Pacific Airstream was stripped to the frame. 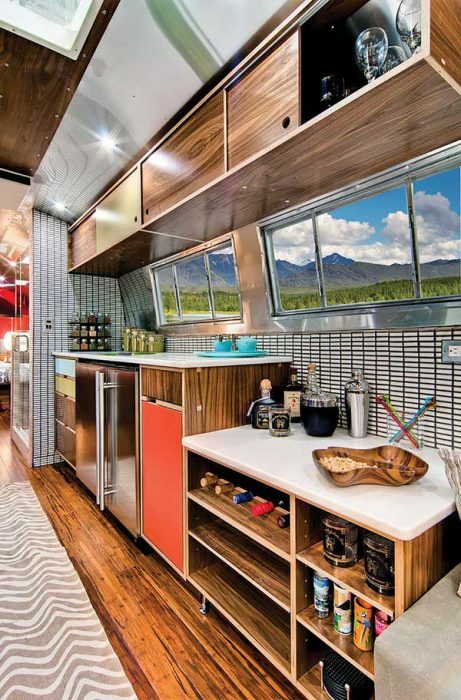 An aluminum skin, bamboo flooring, and nice size horizontal windows for tons of natural light, all add to the mid-century feel of the Airstream. The wine fridge is a nice touch for this vacation retreat. The sink style makes a statement. What a spacious and bright bedroom. 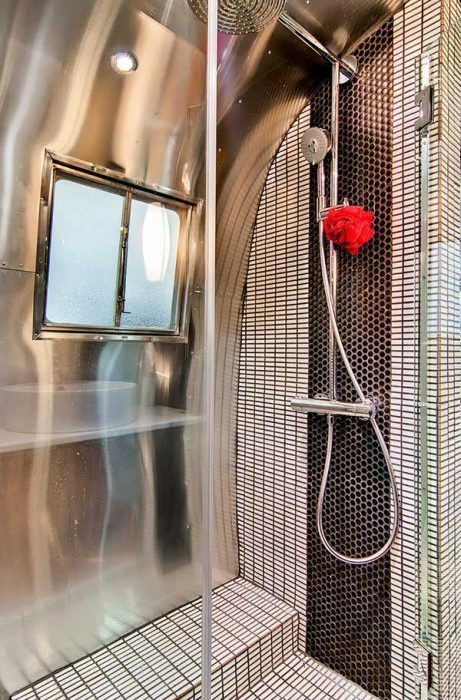 We hope you have enjoyed our look at this vintage Western Pacific Airstream. It’s always great to see how people look beyond an old rusted shell and find the beauty that in these classic beauties. Thank you for reading Mobile Home Living.